History : 05/22/99 : Acquired system and two boxes of manuals and software for $9.95. 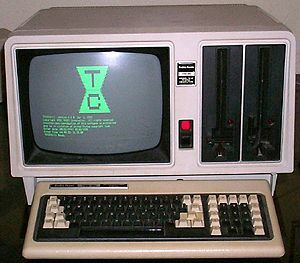 This system can run TRS-80 Model 2 software using its Z-80 cpu or Xenix software using the 68000. I have what looks like a full set of Xenix manuals but I don't think I have all the install floppies. I do have a Xenix development set update, TRSDOS-II (version 4.5.0 I think) and some other Xenix floppies. I also have the manual for ASM-16 but don't see the disk. Same for TRSDOS-16. If someone has copies of these they could send me, please drop me a line.